Think of a language as a living thing. Like most things living, languages are always growing and changing. And today, in our highly connected world, these changes happen more and more quickly. Every year, for example, the Merriam Webster English Dictionary adds many new words – or new meanings for common words -- to the English language. English has always been made of up of words from many languages. Most English words come from Latin, Germanic languages and French. But, in the last several hundred years, English has borrowed words and terms from other languages. These so-called “borrowed” words are not returned, of course. Rather, they remain part of a language for a very long time. You can learn a lot about history and culture by looking at what led to the borrowing of certain words. Today, we will tell you the story of words that English has borrowed from Japanese. It may surprise you that English has taken more than a dozen words from Japanese. They include skosh, honcho, tycoon, hunky-dory and, most recently, emoji. Let’s start with emoji. About 10 years ago, English speakers used the word emoticons for computer keyboard symbols that express emotion in electronic messages and on the Internet. That was before the invention of smiley face icons. Emojis have become so important to electronic communication that they are now even sold as decorative objects and toys. Then, in the late 1990s, a Japanese computer programmer named Shigetaku Kurita changed everything when he invented emoji* -- images, icons and symbols that express meaning without words. In Japanese, the word emoji means “pictograph” and comes from the word e meaning “picture” and moji, meaning “letter” or “character.” The similarity to the English word “emotion” is only by chance. Another word English borrowed from Japanese is skosh. The English meaning of skosh is “a small amount.” The word is used informally in English. It comes from the Japanese word sukoshi, which means the same thing. In Japanese, sukoshi can also mean “a few” “a little' or 'some.' Notice the similarity between the English and Japanese pronunciations: skosh and sukoshi. American soldiers picked up sukoshi while they were stationed in Japan after World War II. They brought it back with them to the United States in the 1950s. Honcho, another word borrowed from Japanese, also came into use around World War II. Imprisoned American servicemen in Japan learned about the word. Later, they brought it back with them to the United States. When native English speakers use the word honcho, they often say 'head honcho.' It has the same meaning as honcho. However, it is a native English speaker mistake, since 'head honcho' is redundant. Another borrowed Japanese word that describes someone who holds a lot of power is tycoon. In English, the word refers to a very wealthy and powerful businessperson. Tycoon comes from the Japanese taikun meaning “great lord or prince.” The word comes from the Middle Chinese word tai kiun. In the mid-1800s, the United States was ready to use military power to force Japan to re-open trade relations with the West. Navy officer Commodore Matthew Perry led the negotiations. When he arrived in Japan, he refused to meet with anyone other than the highest official in the empire. The Japanese presented Perry with their shogun, or general of the Japanese army. But they were concerned that the English translation of his title would not seem powerful enough to Perry. So, they introduced their shogun using the title taikun. 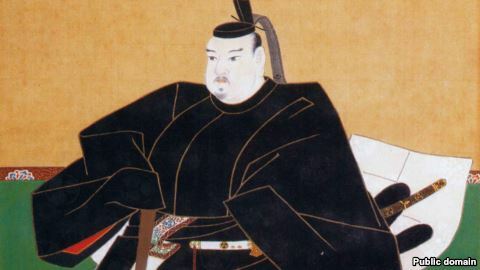 What Perry – or the West – did not realize was that shoguns had more power than emperors in Japan at the time. Perry’s negotiations with Japan were successful. And the word tycoon soon became popular in America. It came to mean “top leader.” Tycoon first appeared in print in the U.S. in 1857. Even Abraham Lincoln began to like the word. When he was president, members of his cabinet called him tycoon as a nickname. The story of the second part of the word – dory – is less clear. One theory from 1876 links the word hunky-dory to the Japanese word honcho-dori. This was believed to be a street in Japan where American sailors went to have fun while they were stationed there. However, clear evidence does not exist to prove this is true. What is clear, though, is that the pronunciation of the word for “street” in Japanese sounds a lot like “dory.” It’s pronounced tori. Join us again soon to learn the history of English words borrowed from other languages. I'm Jill Robbins. I’m Alice Bryant. *In English, the plural form of the word is emojis.